Here at NCSEA, we value our community and are committed to giving back through regularly scheduled days of service. This summer our staff spent the day at Carolina Tiger Rescue in Pittsboro, North Carolina—a sanctuary for wild cats found all across the United States. The mission of Carolina Tiger Rescue is to protect wild cats, both in captivity and in the wild, from being exploited by humans. The team arrived on July 27, 2018 ready to work with a box full of donated goods. Before lending a hand, NCSEA received a tour of the sanctuary and met with the friendly and knowledgeable staff. We had a chance to view tigers, lions, ocelots, (oh my!) and other cats that had been rescued. 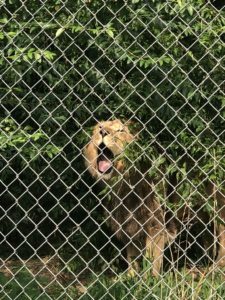 Our guide provided us with fascinating details on the challenges these animals face both in the wild and in captivity; we even learned about the myriad of ways these animals wound up at the rescue facility. Among the many highlights of the day was the opportunity to witness a Carolina Tiger Rescue intern’s research. This intern was researching ways to give the cats more “enrichment” or playtime, and used an inflatable dinosaur costume to give the cats something different to chase. 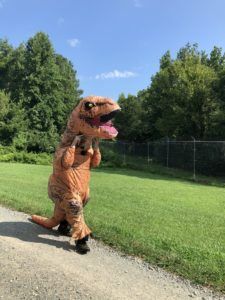 We watched as he donned the dinosaur costume and jogged around the outside perimeter of their enclosures. The cats loved it! They stood at attention waiting for him to get closer, hunching down as if they were on the prowl, ready to attack, and yet slightly unsure of what this “thing” was. Once the sightseeing was over, the team broke into groups. Each group was given a task and schedule to keep us and the animals safe. During our work, the animals were placed in separate enclosures ensuring that NCSEA staff were safe to enter the cat’s homes. 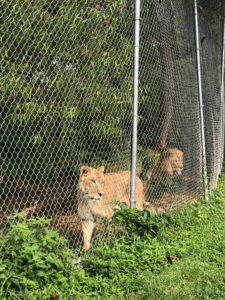 One group cut grass and weeds inside the animal enclosures to eliminate dangerous and overgrown areas, while others cut vines back from the edge of fences to clear the walkways. The last (brave) group resurfaced a deck inside of a lion pen. 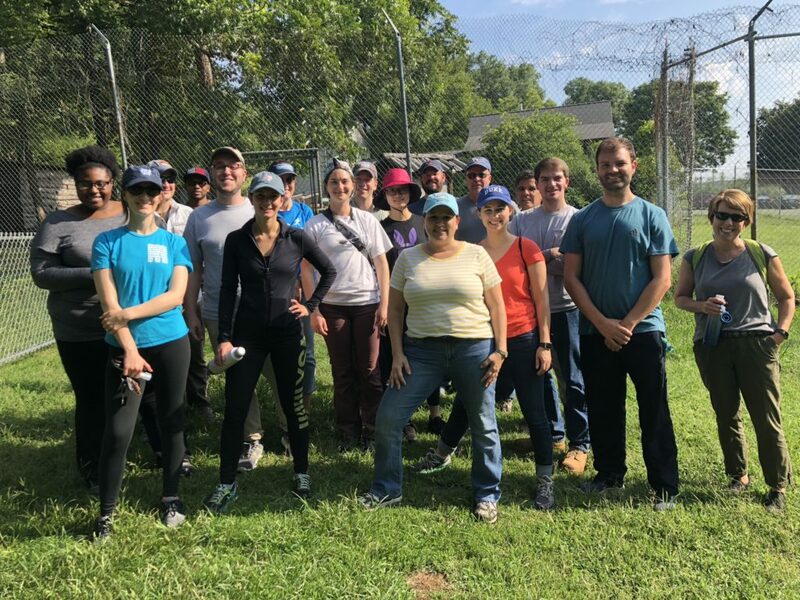 NCSEA was proud to leave the Carolina Tiger Rescue with several hours of labor completed so that they could spend more time caring for the animals. We are thankful for the work they do to protect some of nature’s most impressive creatures. 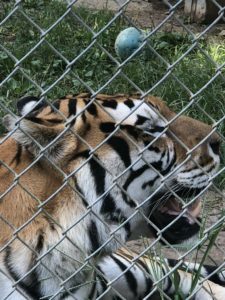 We would like to thank the Carolina Tiger Rescue for giving us the opportunity to experience the rescue first-hand and allowing us to donate our time! Find out more about Carolina Tiger Rescue on their website.